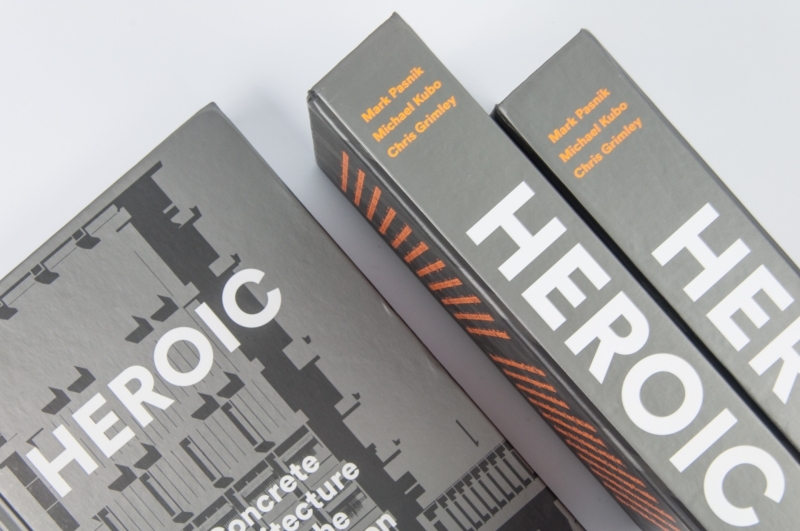 Heroic: Concrete Architecture and the New Boston (Monacelli Press) by Mark Pasnik, Chris Grimley, and Michael Kubo re-evaluates the progressive concrete buildings that transformed Boston during the 1960s and 1970s often grouped under the problematic label “Brutalism”. As part of our In The Gutter reading series, the LA Forum hosts a conversation with Heroic authors Chris Grimley and Michael Kubo, with board member Michael Sweeney, editor of the LA Forum Newsletter Brutalism Los Angeles on Friday, April 8 at Hennessey + Ingalls. Free RSVP here. We spoke to Grimley and Kubo about East Coast/West Coast concrete architecture and Heroic’s impact on contemporary architecture. Heroic concrete buildings spread all over the world in the 1960s and 1970s. Is it a truly international style, or can you discern regional variations between Boston and Los Angeles? While Heroic buildings in the US were often products of the transatlantic urban renewal movement—a phenomenon that was especially acute in East Coast cities like Boston—there were variations among cities in both the amount that was built and the character of the work that was produced. One of the qualities that drew us to Boston’s concrete architecture was the enormous volume of Heroic construction relative to the small footprint of the city center, a relationship that is obviously very different in Los Angeles. We were struck by the Brutalism issue of the LA Forum Newsletter, which describes the style as “particularly irrelevant to the Southern California milieu,” one that “presents a brooding intellectual aspect and the image of an East Coast/Eastern [sic] European rigor”—which is ironic considering that critics of brutalism in Boston (and in the UK) often claim that concrete is only really appropriate for Mediterranean climates. In that sense it may be less the architecture of the buildings than the character of their context that is different between the two cities. On the other hand, the most monumental concrete complexes in Southern California, like the Geisel Library at UC San Diego or the Salk Institute in La Jolla, have a majesty and grandeur that seems uniquely suited to the West Coast. What do you think is the legacy of this period’s concrete architecture in the contemporary design world?